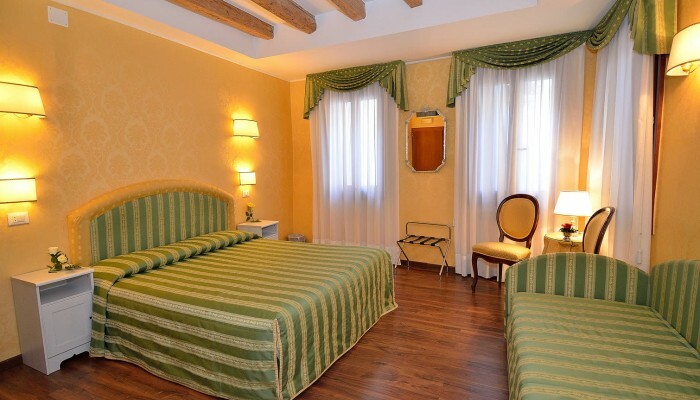 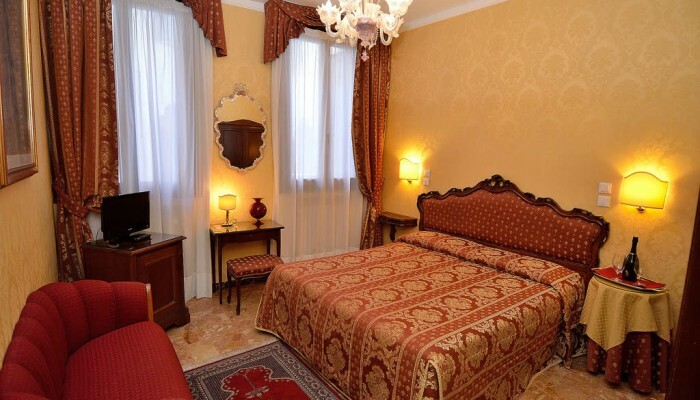 Immerse yourself in the charm of an old Venetian home by staying in one of the 32 rooms of the hotel. 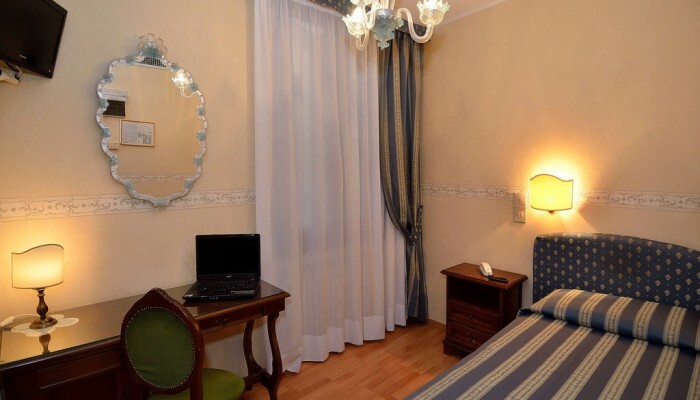 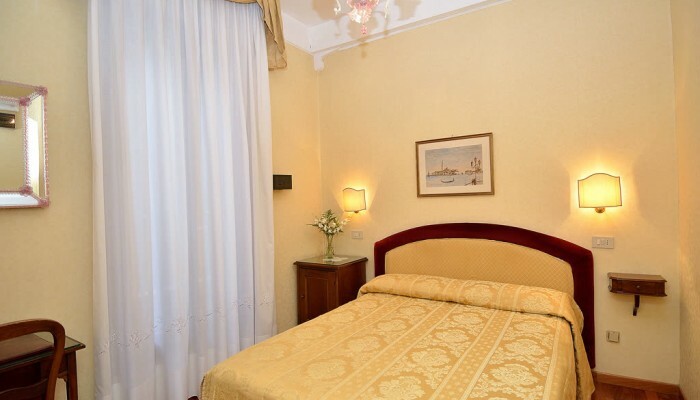 Furnished in typical Venetian style, with glasses and mirrors from Murano, all the rooms are equipped with every modern comfort. 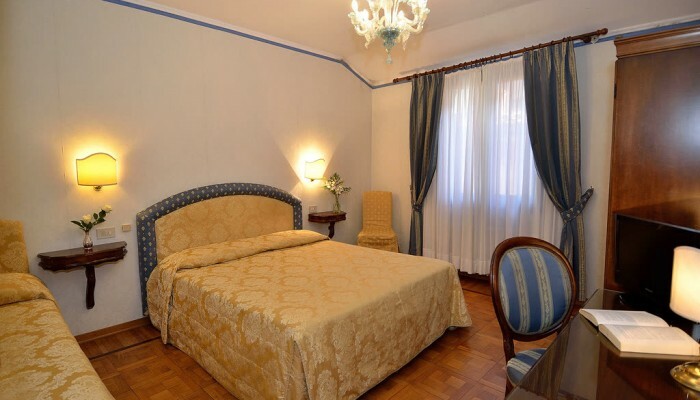 The rich furnishings are all outfitted in deep blues, greens, reds, and yellows, an aesthetically pleasing design to complement the historic building that houses this three stars accommodation. 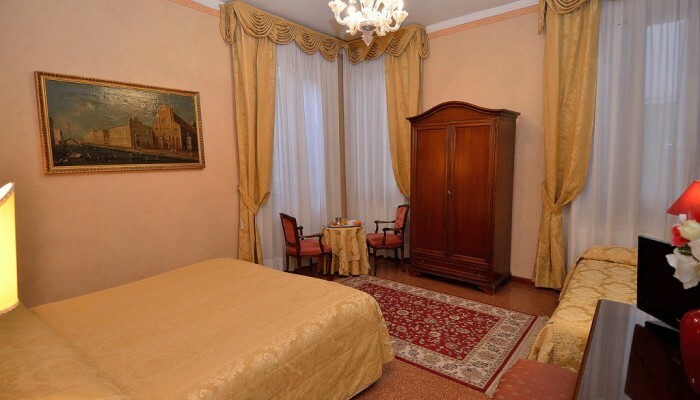 The opulent Venetian drapery adds a soft and pleasant glow to each room, creating the height of elegance.